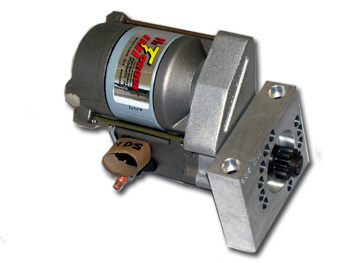 A high torque starter for classic car muscle. 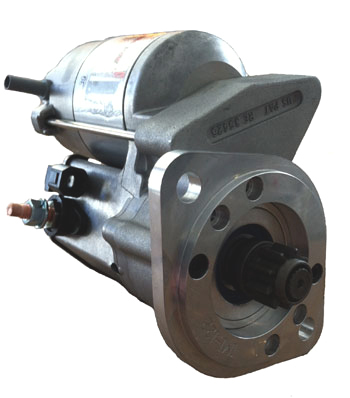 Do yourself a favor and replace your old Delco Remy starter, that gives you a hard time starting when hot, with a mini gear reduction starter that will perform great! These Nippondenso powered starters have a 4.4:1 gear reduction. They have a custom rotatable nose to mount the starter in many different positions to get the best clearance from headers, oil pans, linkage, etc. These starters will fit V8 Oldsmobile and Pontiac manufactured V8 blocks for the years shown. The 1.6HP model will work for compression ratios up to 11.5:1 and the 1.9HP models will crank engines up to 13:1 compression ratios. If you have a combination that does not fit into the categories below, or just have a question, please contact us and we should be able to find a replacement starter for your application.